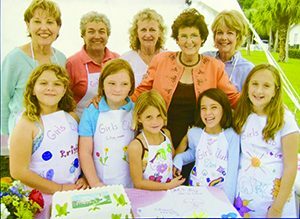 In 2008, the Friends of Boca Grande Community Center created the Dee Wheeler Children’s Fund (DWCF) to honor Dee for her 32 years of service and her tireless efforts in instituting many of the programs at the Center that benefited the children of our community. Summer camp was a program that was always near and dear to Dee. Now in its tenth year, the DWCF has provided the opportunity for many children to attend summer camp who might not have the opportunity if not for the scholarship. These stipends are awarded, based on need, to children who live on the island, attend The Island School or whose parents work full time on the island. A committee consisting of Friends board members administers this program. This year, 113 weeks of summer camp fun were given to 16 children at a cost of $8,475.00. If you are interested in donating in memory of Dee to this worthwhile cause, please contact the Friends of Boca Grande Community Center at 964-0827.